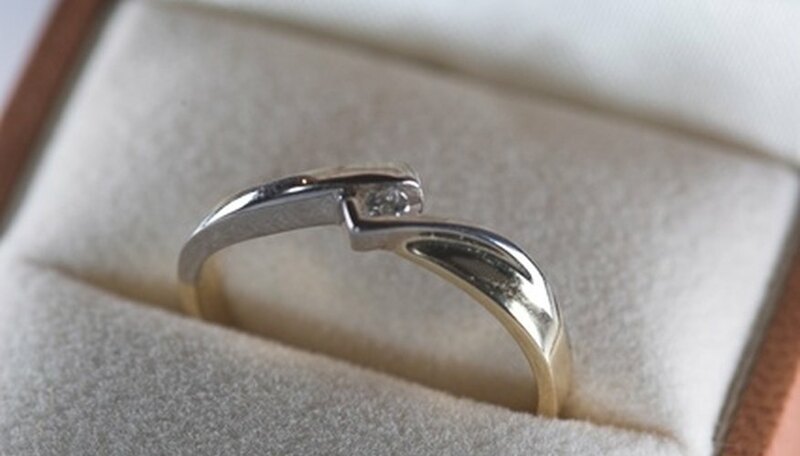 Giving a promise ring to your girlfriend is a big step, signaling to her that you are serious about your relationship. You could simply give the ring to your sweetheart, or you can create a special memory by presenting it in a novel way. Here are romantic ways to give a promise ring and proclaim your undying love. Create a memory when you present a promise ring. Red roses are the classic symbol of romantic intentions. For a twist on the familiar gift, take a single red rose and hide the ring inside the unopened bud. Place the rose in a pretty bud vase and place it in a prominent location, like her office desk, where your girlfriend will see it constantly. The rosebud will open a few days later, revealing the surprise ring. Chocolates are a favorite gift for romantics. Buy a deluxe box of chocolates, preferably heart-shaped, from a popular chocolatier. Remove one of the chocolates from the box and replace it with the promise ring. Have the box wrapped in beautiful paper and tied with a fancy bow. When your girlfriend opens the chocolates, she will see the ring. Take your girlfriend out to dinner at a fancy, upscale restaurant. Make arrangements in advance with the restaurant manager by sharing your plan to present the ring. During your date, after the meal is over, have the waiter bring out the dessert tray; one of the desserts should be topped with your ring. Draw a bath for your honey and sprinkle rose petals or aromatic bath oil. Play softer, romantic music. Light several floating candles and place them in the water. Place the ring in an unlit candle and float it in the water. Buy a book of love poems. Leave the pages in the first third of the book intact. Using a utility knife, carve out a small square into the other pages to create a cavity for the ring. Present the book to your girlfriend and tell her you'd love to read the poems aloud with her. After flipping through a few pages, she eventually will discover the ring. Linda Michi is a freelance writer and educator. She began writing in 2000, and has been published in "Creating Keepsakes," "Memory Makers," "Better Homes and Gardens Scrapbooks Etc." and "An Encouraging Word." She has a bachelor's degree in business administration from the University of Hawaii. Her experience also includes life as a stockbroker, investment adviser, small-business owner and church ministry leader. Michi, Linda. "Romantic Ways to Give a Promise Ring." Dating Tips - Match.com, https://datingtips.match.com/romantic-ways-give-promise-ring-5215239.html. Accessed 24 April 2019.